Peel the kiwis and apples and cut them into small pieces. Put everything in the blender and start mixing. 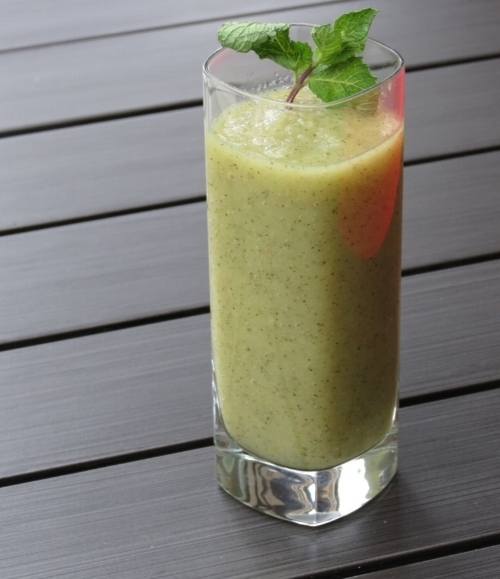 Add the mint leaves and coconut sweetener and blend everything together. Finally add a little bit of water and/or some ice cubes, depending on your taste! Blend until it has a creamy texture.